TAMPA, FLORIDA – APRIL 7, 2016: The United Soccer League (USL) has announced a partnership with Sportradar, the global leader in understanding and leveraging the power of sports data and digital content for its clients, to proactively safeguard the USL’s nearly 450 matches scheduled for the 2016 season. Sportradar is the world leader in the detection and prevention of match manipulation and the company’s Fraud Detection System will monitor all regular season and postseason USL matches for any potential manipulations. Sportradar’s Fraud Detection System monitors the top two divisions in each UEFA member country including the Premiership, Bundesliga, La Liga; AFC member countries, MLS and various other soccer and sports leagues worldwide. Sportradar monitors over 200 soccer leagues and competitions globally and its Fraud Detection System offers the best overview of the global betting markets, ensuring that leagues and competitions can spot concerns while also sending a clear message of commitment to all supporters that the teams they support, the soccer they love is real and the competition is and will remain fierce. ABOUT THE USL: The USL is a vital part of soccer in the United States, on and off the field, and has more than doubled in size since 2014. The USL offers the highest level of competition below MLS on a national footprint with strong local ownership groups in major markets positioned for long-term success. With 29 teams in 19 American states and three Canadian provinces, the USL is the largest professional soccer league in the United States and Canada, and the world. The 2016 season marks the introduction of six teams – Bethlehem Steel FC, FC Cincinnati, Orlando City B, Rio Grande Valley FC, San Antonio FC and Swope Park Rangers KC. The USL’s teams are divided into two conferences – Eastern and Western – with each team playing 30 regular season games. 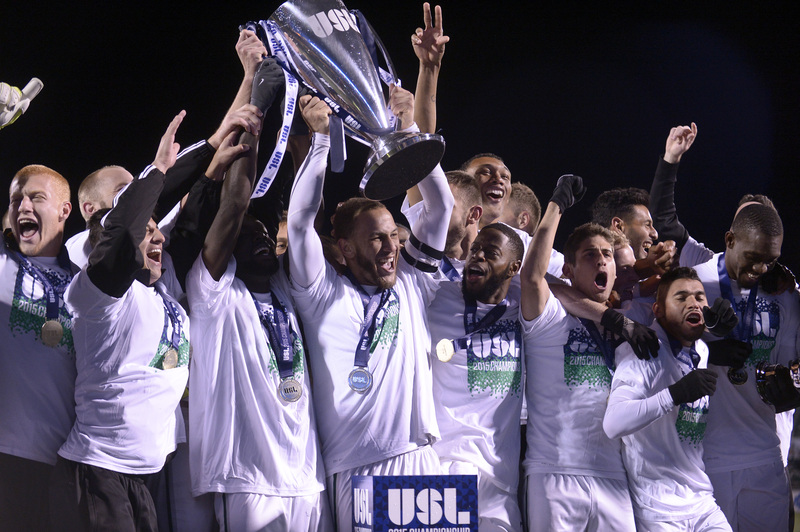 In addition to league play, USL teams compete in the Lamar Hunt U.S. Open Cup as well as various domestic and international exhibitions. The USL is the longest-standing professional affiliate member of U.S. Soccer. Every game of the 2016 USL season can be seen live, free and in HD on Match Center at www.USLSoccer.com, with updates from across the league also available on Twitter, Facebook and Instagram. ABOUT SPORTRADAR: Sportradar is a global leader in understanding and leveraging the power of sports data and digital content for its clients around the world. The company’s Security Services operation provides the Fraud Detection System (FDS) to several federations, including the AFC, CONCACAF and UEFA. This unique system allows the Security Services team to monitor betting behaviour and patterns worldwide and to identify suspicious activities. Those findings prove invaluable for sports federations and law enforcement agencies that are looking to pinpoint match-fixers. The Security Services also include the Fraud Prevention Service (FPS) through which Sportradar offers education tools and services that have been delivered to leagues and clubs around the world. These have been show to increase awareness of illegal betting and match-fixing among those involved in sport. More than 600 businesses in over 80 countries rely on Sportradar’s data depth and quality services in their daily business. Headquartered in Switzerland, Sportradar has offices in 30 other cities and employs over 1,300 highly experienced staff worldwide. For more information about Sportradar, please visit: www.sportradar.com.